I had to write a post to share something I came across on Twitter–Brian Sztabnik’s podcasts called Talks with Teachers. 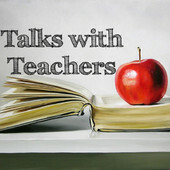 Brian is an English teacher and blogger who is in the process of putting together an impressive list of podcasts on education, bringing “the stories and inspiration behind America’s great English educators” to our commute. 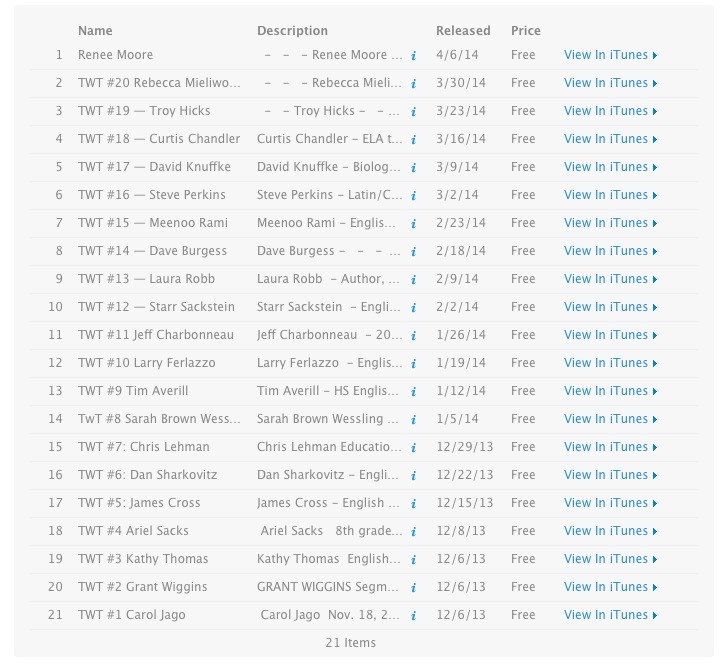 So far, over twenty podcasts have been uploaded to the Talks with Teachers iTunes channel. This morning I had the pleasure of listening to Sarah Brown Wessling, the 2010 National Teacher of the Year, talk about building a culture of literacy in her classrooms. During her interview, Sarah emphasized the power of having students read their writing orally as a way to improve their writing. I’ve found this strategy to have a huge impact in my classes as well. As you drive to and from work, listen to some of America’s great educators like Carol Jago, Larry Ferlazzo, and Troy Hicks, and add some of their insight to your bag of tricks. I’ve started to listen to these podcasts on my morning drive and find them inspirational. Indeed, the goal of Brian’s project is to “boost morale and help teachers find joy and purpose.” Brian has certainly accomplished his goal.